Minister for Defence Marise Payne and Minister for Indigenous Affairs Nigel Scullion have announced an Indigenous joint-venture to deliver the $213 million Bayinguwa critical wharf works project at the Garden Island Defence Precinct in Sydney. The engagement of the Bayinguwa Delivery Team is first-and-foremost about delivering high quality works for Garden Island. The team will be responsible for managing the demolition of two deteriorated wharves and constructing a single new wharf in their place. 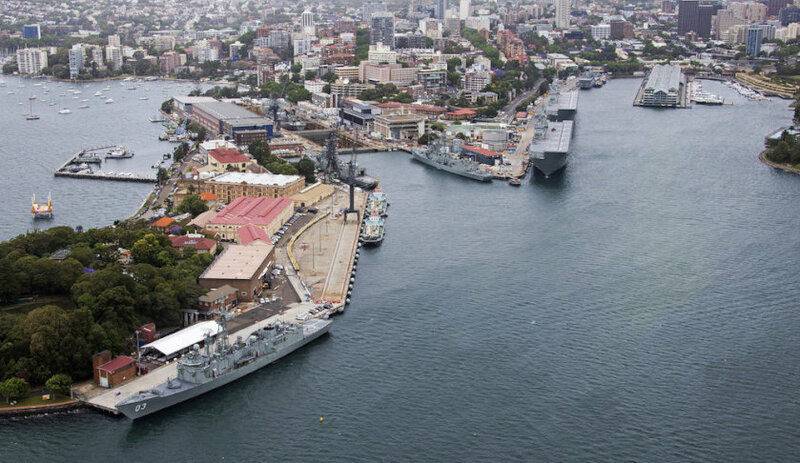 “These works are essential to ensure the Royal Australian Navy can safely berth and maintain its ships at Garden Island, which is the major home-port on the east coast of Australia," Minister Payne said. The Indigenous Procurement Policy (IPP) has supercharged the Indigenous business sector, driving rapid growth in the demand for Indigenous goods and services across a diverse variety of industries. The IPP has resulted in more than 1,000 Indigenous business across the country winning contracts worth over $1.08 billion since the IPP’s commencement in July 2015, up from just 30 Indigenous businesses winning $6.2 million in 2012-13. Minister Scullion said, "The Bayinguwa project is just one example of the potential the IPP is realising, in this case encouraging Lendlease to enter into a joint-venture with an Indigenous business ... The IPP is a genuine win-win for taxpayers. All contracts under the IPP are delivered on a value for money basis, meaning the Commonwealth does not pay more for the goods and services it would otherwise be procuring, but by engaging an Indigenous business we get more Indigenous jobseekers off the misery of welfare and into the dignity of work." The total project value is $213 million and construction is due to commence in September 2018 for completion in February 2022. It is anticipated that the project will generate up to 150 jobs at the peak of construction with opportunities available for local industry and Indigenous involvement.